The Summer Research Internship for Medical Students (SRIMS) is an opportunity for medical students to experience the latest in basic and translational research. Incoming second year medical students from the Donald and Barbara Zucker School of Medicine at Hofstra/Northwell participate in cutting edge research at CSHL under the mentorship of exceptional scientists. The Program is led by Director Priya Sridevi, Ph.D. (psridevi@cshl.edu), and Administrative Coordinator Joanie O’Connor (joconnor@cshl.edu). SRIMS students participate in a summer research project, mentored by one of CSHL’s outstanding research faculty. Students are able to take advantage of the Lab’s state-of-the-art research facilities, including extensive resources for genomics, gene editing, and microscopy. Welcome lunch with CSHL President and CEO, Bruce Stillman. Weekly discussions with the SRIMS Program Director Priya Sridevi, Ph.D. Topics include research work in progress, journal clubs, and more. Hands-on programming workshops, which train students to use Python for data analysis and modeling. Two concurrent workshops are targeted toward novice and experienced programmers. Lecture series with sessions focused on important topics in bioinformatics and computational neuroscience. Training in Scientific Communication, including lectures on how to write an effective abstract and how to give a scientific talk. Responsible Conduct of Research workshop, a mandatory two-part Responsible Conduct of Research series that covers ethical issues in biological research. Students are also instructed in laboratory safety. 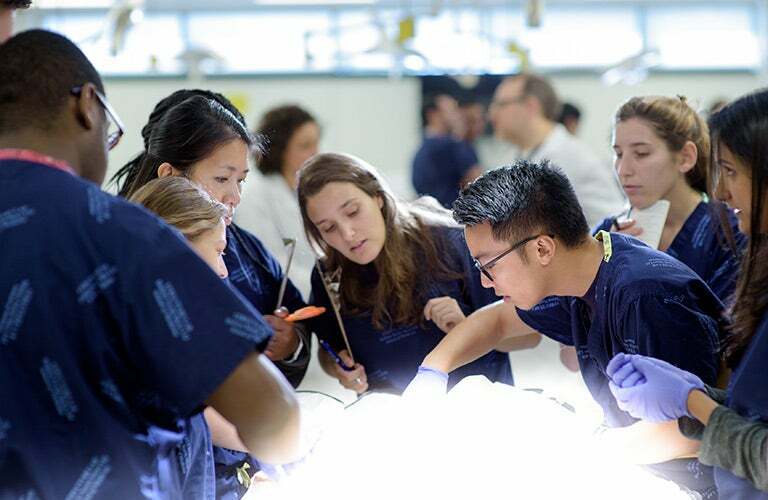 The application process is organized by the Zucker School of Medicine at Hofstra/Northwell. First year students are encouraged to apply during the winter months. CSHL is not only a research facility, but also a summer program—in conjunction with the medical school—with a variety of activities. The application process for the 2019 Summer Research Program is now closed. Please contact the Office of Student Affairs at Zucker School of Medicine at Hofstra/Northwell at medicine.students@hofstra.edu for more information about the application process.